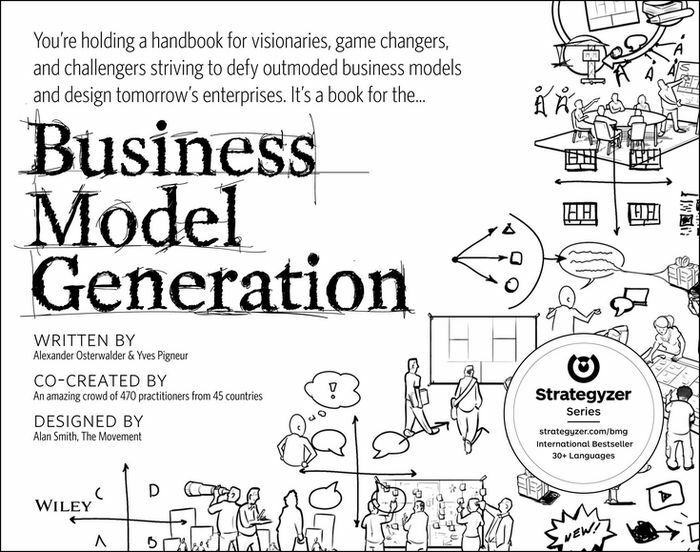 Business Model Generation is an uncommonly useful and thoughtful handbook centered entirely on—you guessed it—business model design. The book gives readers deep insight into various business models—traditional and cutting-edge—in a highly visual, guidebook format. In short, it’s a great tool to keep handy for easy, frequent access. 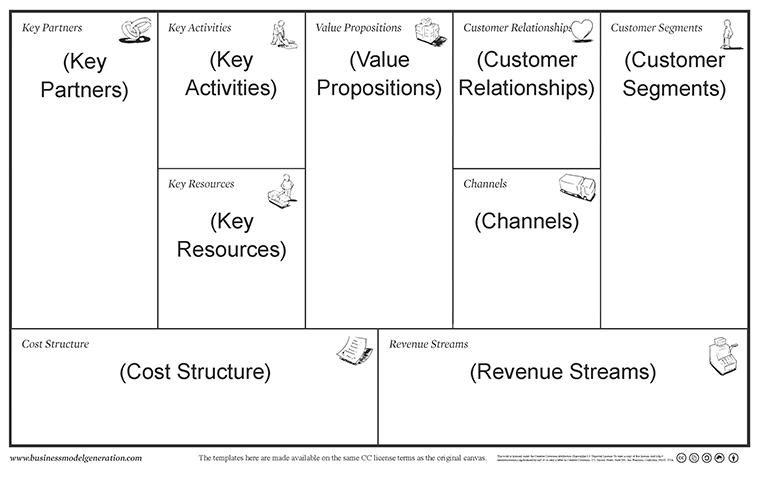 The canvas is a framework for sketching out your business model—or pressure-testing multiple business models. And it is thoughtfully designed. The left-side of the model addresses ‘left brain’ issues or logic (EFFICIENCY) and the right-side addresses ‘right brain’ issues or emotions (VALUE.) 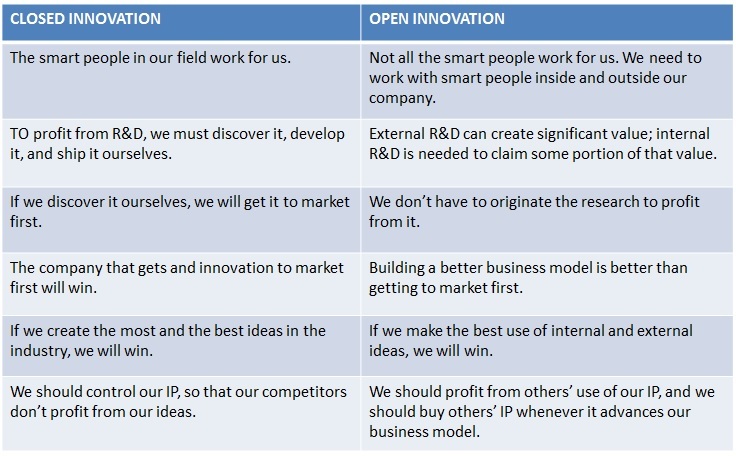 Consideration of both are needed to yield a winning business model. 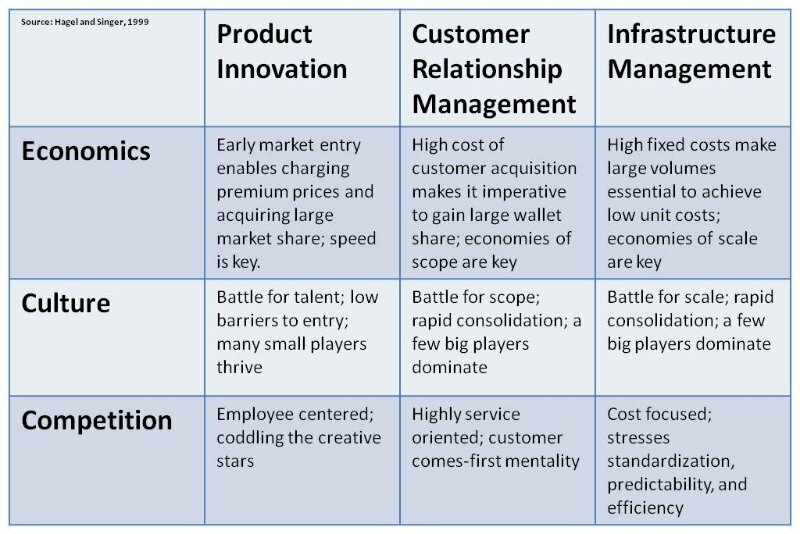 The concept of the “unbundled” corporation is that there are three fundamentally different types of businesses: Customer relationship businesses, product innovation businesses, and infrastructure businesses. The three types can and often do co-exist within a single corporation, but they are often better served “unbundled” into standalone entities. A classic example is the unbundling of mobile telecommunications businesses. Originally, telecoms competed on network quality. However, now they are forging network sharing deals because they realize that their key asset is no longer their network—it is their brand and customer relationships. 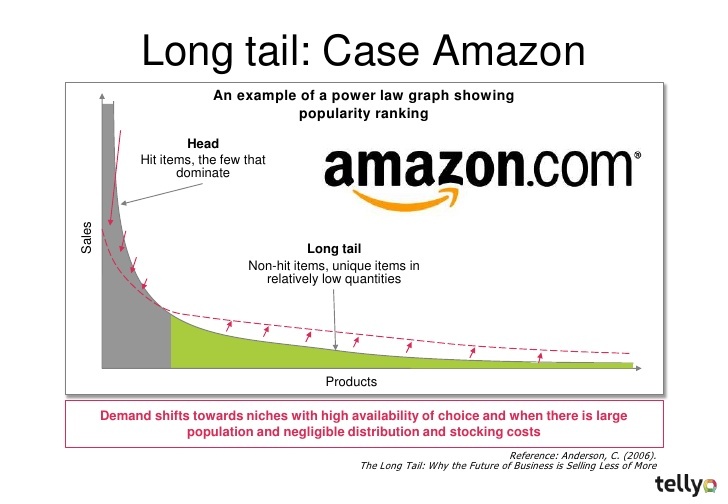 Long Tail business models are about selling less of more: they focus on offering a large number of niche products, each of which sells relatively infrequently. Contrast this approach with the traditional model where a small number of best sellers account for most revenues. The Long Tail concept was coined by Chris Anderson in his book, The Long Tail: Why the Future of Business is Selling Less of More, to describe a shift in the media business from selling a small number of hit items in large volumes (mass media) toward selling a very large number of niche items, each in relatively small quantities. 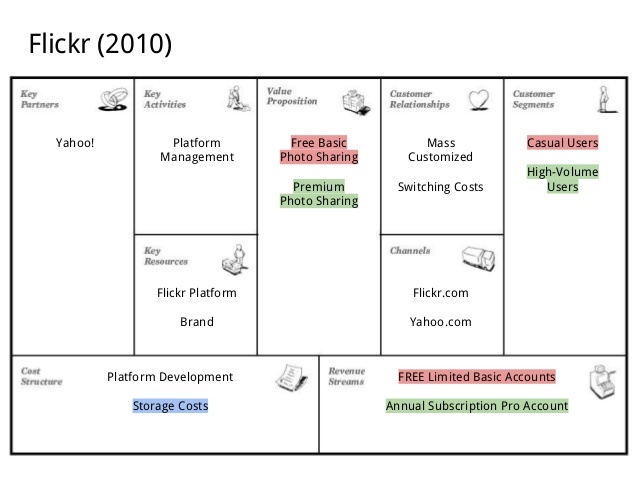 Flickr, the photo-sharing website is an example of a “freemium” business model. Users can subscribe for free to a basic account or they can upgrade for a small annual fee that provides more comprehensive benefits and features. LinkedIn also offers a FREE/Pay for option. In this model, companies create and capture value by collaborating with outside partners—either “outside-in” by exploiting external ideas within the firm, or “inside-out” by providing external parties with ideas or assets that are not being used internally. Procter & Gamble was an early user of the “Outside-In” approach to revitalize the business at the beginning of this century. 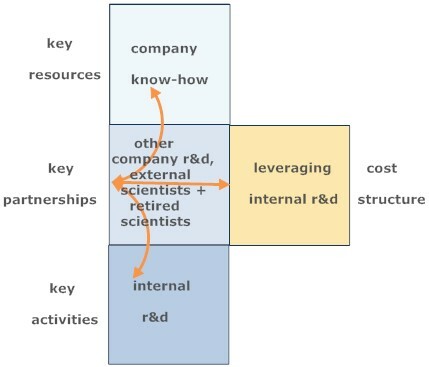 A key element of their approach was a “Connect and Develop” strategy designed to exploit internal research through external partnerships. 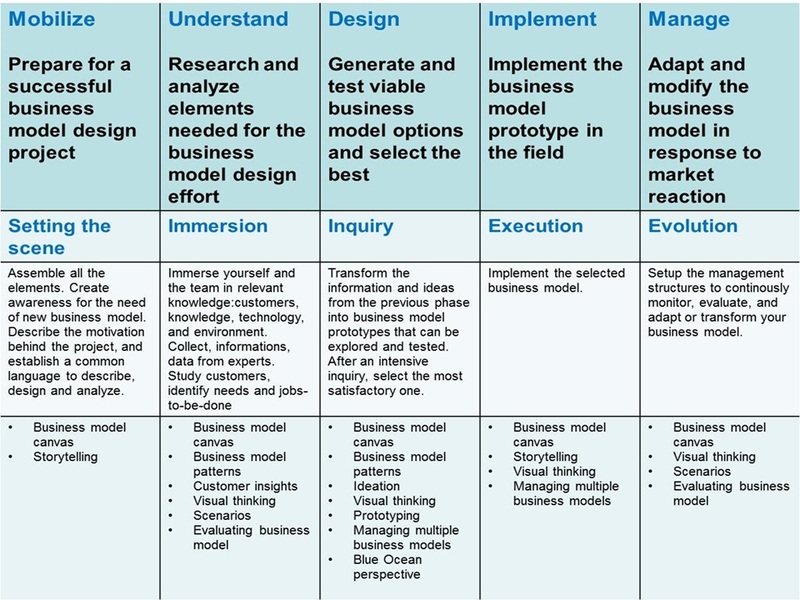 The first half of Business Model Design is devoted to business model PATTERNS. At the mid-point, the authors shift gears to focus on business model DESIGN, STRATEGY, and PROCESS. “Business people don’t just need to understand designers better, they need to become designers” is the premise of the design section of the book. There are 6 components of design addressed by the authors: 1) Customer Insights, 2) Ideation, 3) Visual Thinking, 4) Prototyping, 5) Storytelling, and 6) Scenarios. When it comes to building businesses, nothing good gets built wit ut insight into buyers—their needs, wants, attitudes and perceptions. 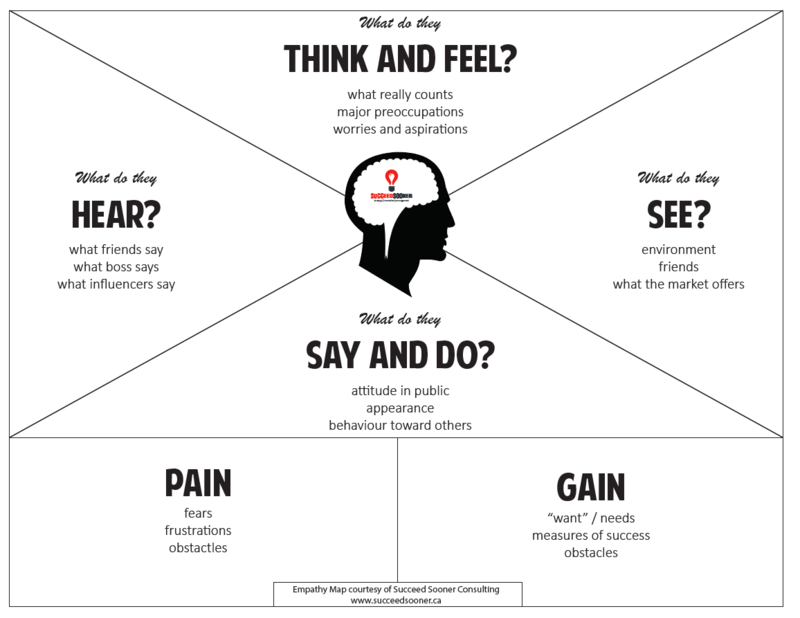 The empathy map or “customer profiler” helps you get beyond a customer’s demographic characteristics (e.g., gender, income) to develop an understanding of their environment, concerns, and aspirations—precisely the kind of deep insight that’s needed to deliver compelling value. Prototyping is a powerful tool for developing fresh, innovative business models. Prototyping got its origin in design and engineering—e.g., product design, architecture—but it works well in business model design to stimulate new thinking and bust boundaries. Take, for example, this prototyping summary from the book publishing industry. There are eight business models captured—seven more than the traditional publishing model Simon & Schuster and other big houses leveraged for over a century. What’s so potent about this visual is that it demonstrates that, despite a longstanding history of doing things one-way, there are always options to explore—options that disrupt industries and create new, breakthrough value. 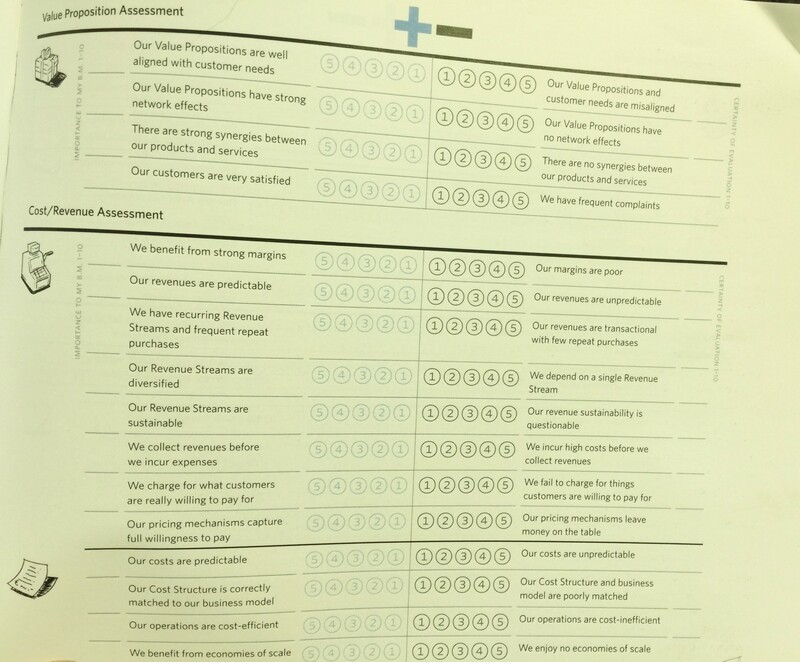 An exceptionally useful tool in the strategy section of the book is the “Detailed SWOT Assessment of each (of the business model) Building Blocks.” The author’s SWOT is like a traditional SWOT analysis—i.e., requiring the user to identify Strengths, Weaknesses, Opportunities, and Threats. 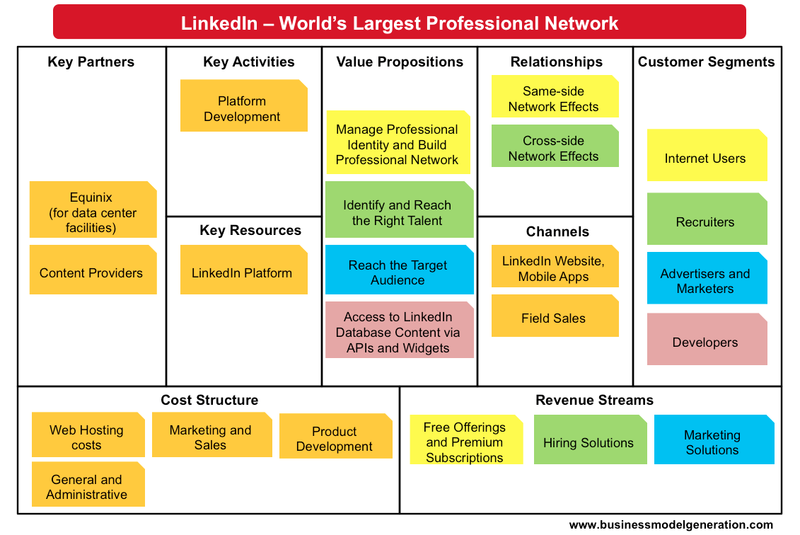 However, the lens of the business model SWOT is more granular than that of a traditional SWOT used to evaluate a company or a business. 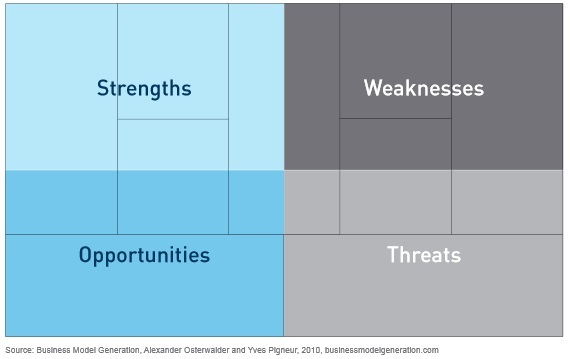 Specifically, the Business Model Generation SWOT calls for the reader to assess each of the nine business model building blocks against several criteria that are detailed out in the book in the form of questions. 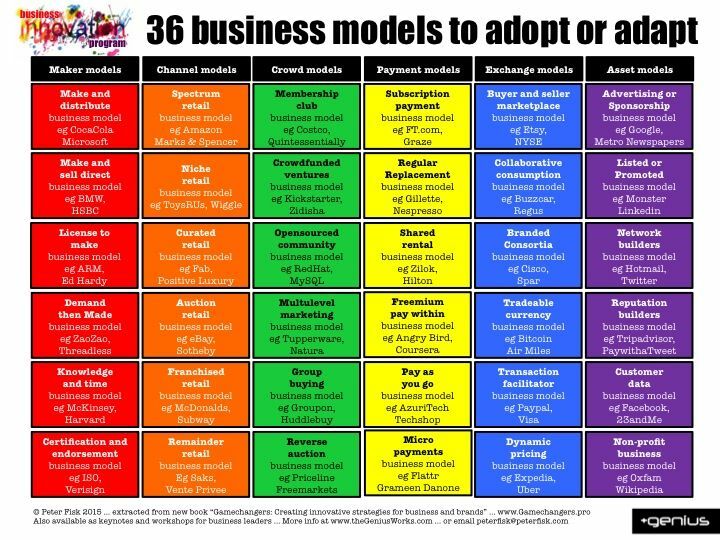 What are your business model’s…? This SWOT questions are perhaps one of the meatiest, distinctively valuable eight pages in the book. It certainly takes a traditional SWOT to a new level with the inclusion of pre-defined questions to help bust through existing mental frames that can limit thinking. I’m also a fan of the framework the authors propose for evaluating an organization’s environment. I’m a long-time user of Porter’s 5-Forces Model combined with a PESTLE analysis or macro-environmental scan. 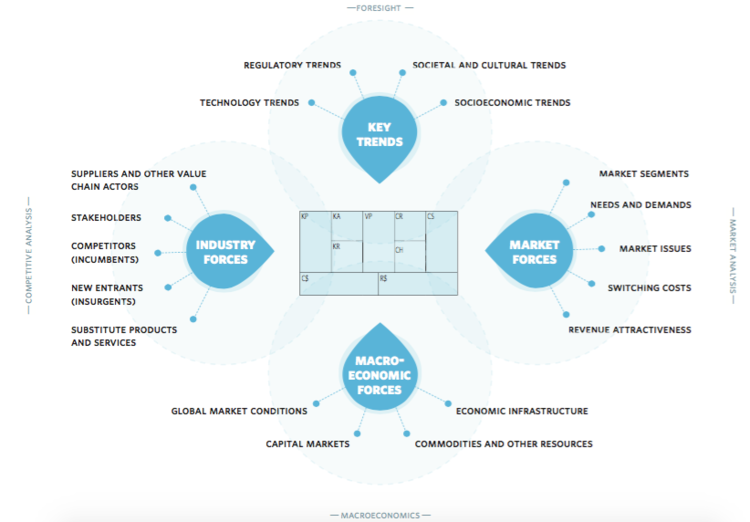 What I like about the author’s business model environment framework is that it combines foresight, macroeconomics, market and competitive analysis into one. It also can be summed up on one page. I love a one-pager. As with their version of the SWOT, that author’s help the reader understand and apply the framework by including detailed questions to evaluate each force or trend. Priceless—especially for new users to these type of frameworks and analyses. The 9 years of research, 470 authors, 77 forum discussions and more that went into the creation of Business Model Generation have clearly yielded a first-rate guide. There’s a lot of fresh content included but what’s most compelling about the book is that it builds upon proven-effective business best practices and tools and applies them to the distinctive goal of creating a business model. For example, SWOT analyses, Blue Ocean Strategy, Empathy Maps and more are all concepts and frameworks that have been around for a while. Instead of reinventing the wheel, the authors repurpose these valuable tools, giving them new meaning and a new application. With this book, the buyer doesn’t just get the author’s model—the canvas—they get years of best practices and thought leadership vetted and applied to one of the key entrepreneurial challenges of the day: business model design.